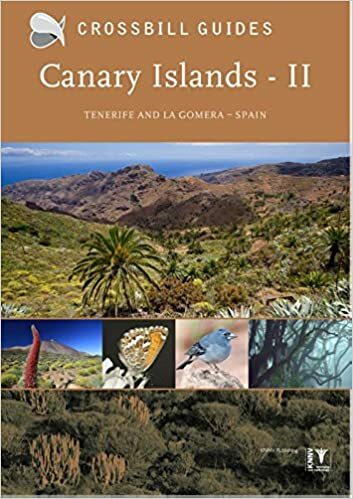 This new title in the Crossbill Guides Series covers Tenerife and La Gomera, the two most diverse of the Canary Islands. The flora and fauna of these islands is unique and consists of many species that occur nowhere else in the world. This guidebook describes the nature of these islands from the sun-soaked lava fields on the coast to the lonely snow-capped peak of mount Teide, including all the fascinating life that can be found in these ecosystems. The Canary Islands II: Tenerife and La Gomera gives detailed route descriptions (13 in total) and site descriptions (about 30) for naturalists throughout both islands, covering the best sites for bird watching, finding wildflowers, dragonflies and butterflies; for seeing marine life and the most remarkable geological sites. It also gives detailed information on tracking down the evolutionary processes that shaped the unique ecology of these isolated Atlantic Islands. This information comes with extensive descriptions of the ecology, geology, history and flora and fauna of Tenerife and La Gomera.